Google Fax start guide that will help you set up Gmail to send a fax online. If you made it to this page, it’s likely you already have a Gmail account. You’re in good company. More than 900 Million people use Gmail for their email provider. Gmail now lets you send faxes in the same way you’d send an email. With growing security concerns in the tech world, fax is still a very relevant and very secure technology. Sending a fax from Gmail is pretty easy. All you need a Gmail address and an online fax account. More simply though, just follow these easy five easy steps. 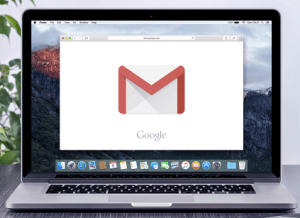 Step 1 Log into your Gmail account and compose a new email. Step 2 Review the different fax companies. Figure out how much faxing you’re going to do. Do you need a number or do you just need to send a fax? While there are several to choose from, for three reasons RingCentral is Afax.com’s number one choice. For a limited time, RingCentral is offering a free 30-day trial. While other companies offer a free trial, RingCentral brings the best user interface. Something else that might be important to you is being able to send from any device. Using RingCentral you can fax from your Mac, fax from your PC, fax from your iPad AND your iPhone. In addition to the 30-day trial, RingCentral offered Afax.com a special deal. Go ahead and check it out by clicking here. Step 3 Attach the file (document, image, etc.) you want to fax to the email message. Step 4 In the recipient’s field, add the fax number as you would add an email. To make things clear here is an example of how you’d enter the fax number is when using eFax as your email to fax service. And in this picture, you can see how this would look in an outgoing Gmail. Step 5 Press Send. Congratulations! You have sent your first Google fax! 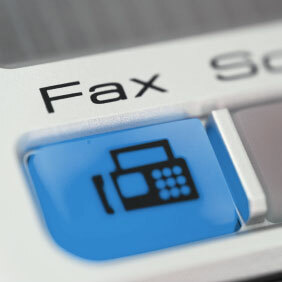 After a few seconds, you will receive a confirmation message letting you know your fax found its destination. Are you ready to get started? Sign up and start faxing from Google in just a matter of minutes! You can enjoy a full month of online faxing at no charge with these companies. RingCentral – RingCentral is one of the leading fax services of 2017, thanks in great part to their excellent service and 24/7 support. They offer different plans according to your needs; the basic one called “Fax 500” costs just $7.99 and includes 500 pages of fax per month. Toll-free or local dedicated fax numbers. Integration with cell phones and mobile devices. RingCentral Fax offers a chance to try their service for 30 days and offers three different plans for faxing online, depending on how many pages you send and receive every month. eFax – Unlike other businesses, eFax offers just a single fax plan. That plan, though, is a great option for both small and medium businesses. eFax provides a full month trial, unlimited fax storage, plenty of support options and local numbers in many countries and thousands of cities around the World. Also, you count with digital signing features and a mobile application to take faxing everywhere. MyFax – MyFax has positioned as one of the leading Google Fax services in the past few years. This service is perfect if you are planning to fax documents from different file formats (they currently support more than 170 file types), or if you are planning to send faxes to other countries since they offer flat-rate faxing to over 40 countries with your account. The service is fast, reliable and very simple to use. Click here to test drive our recommended choice! I strongly recommend you create a new one for faxing purposes; it’s free! In the past few years, Gmail has become increasingly popular thanks to its simple interface and fast navigation. Plus, it’s backed by Google, the great search engine giant, so you know it is 100% reliable. What that means is a virtual fax number that will redirect incoming faxes to your inbox, where they’ll arrive as Adobe PDFs. Email fax services provide this number. Currently, fax services offer you the chance of choosing between a local or toll-free number when you sign up. The type of business you have will often determine these needs. You can find numbers all across the USA, as well as other countries such as Canada and the UK. The ability to fax from your preferred email address. Integration with Microsoft Outlook and Microsoft Office. With just a push of a button, you can send a fax. Fax from iPhones, Blackberries, and Android phone thanks to mobile fax apps. Fax broadcasting: send a single fax to multiple recipients at the same time. 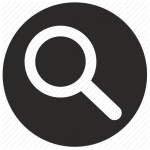 Fax scheduling, storage and detailed reporting. How Do I Receive Google Fax? Receiving Faxes is Fast and Easy! Receiving faxes is incredibly easy – and that comes from someone who is not much of a “tech expert”! When you sign up with a fax service, you receive a virtual fax number that’s connected to your Gmail address. Primarily, this digits “grab” your incoming faxes and redirect them to your Gmail inbox. This way. People can send you faxes, no matter if they are using a computer or a fax machine. Incoming faxes flow through powerful fax servers that can convert TIFF fax files into PDF documents in just a few seconds; then the fax is sent to your email address. That whole process might sound complicated may seem complicated, but it isn’t; as a matter of fact, all the complex steps take place in the background in auto-pilot. You just enjoy the result, which is the delivery of digital fax on your computer. Since we are talking about web-based services, you can access fax from any PC, laptop or even smartphone (services like eFax and RingCentral now offer robust online fax apps). That’s right; you are entirely free from the location constraints of traditional faxing machines! Receiving fax as digital documents also mean that you are free to print the documents you deem necessary; no more money spent on documents that you don’t need in the paper. In my company, this meant saving hundreds of dollar per month! Have you ever wondered how it was possible to send faxes through the Internet? The process is actually accomplished with the use of email and a Gmail fax number. There are many different online fax services which you can use to gain access to your own personal Gmail fax number. Options like EFax and RingCentral will provide you with free trials that will allow you to try out the services and find an option that will offer the most high-quality results. Once you have access to your new online fax number, you will discover that sending faxes through the Internet is more simple than you could even imagine. If you know how to send an email, you know how to send a fax through Gmail. Instead of spending your time dealing with all of the settings that are necessary to transmit a fax through a fax machine, you can send and receive your faxes through Gmail within seconds. There is no more hassle of waiting for documents to arrive or dealing with confusing error messages. When you attach your documents in your email via the Google email client, you have the assurance of knowing that your documents are being transmitted in the most secure format possible. You will never have to worry about losing your documents or sending them to the wrong fax number ever again. In a society that is beginning to focus greatly on going green and moving towards paperless economy, options such as sending faxes through the Internet is an ideal way to progress towards more beneficial technology. Your Gmail fax number will prove to be a helpful tool in many of your business and personal endeavors. Whether you are looking for an affordable alternative to traditional fax machines or you need to fax documents while you are traveling abroad, Gmail fax is versatile enough to ensure that all of your documents are sent in a quick and timely manner. 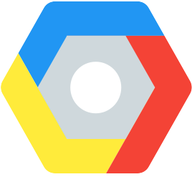 Google Cloud Faxing Using Google Docs! Do you work with cloud-based documents? 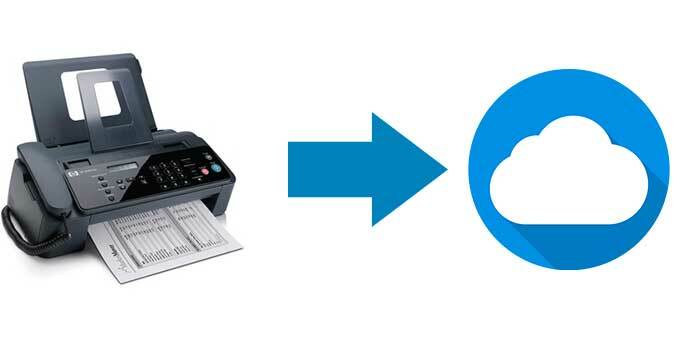 Maybe you already knew this, but you can fax documents directly from your online account? RingCentral has recently announced that they are offering a cloud fax feature. They have partnered with Google Docs, Dropbox, and Box to provide the “first ever cloud-based, fully integrated fax service”. The company knows that faxing is still an integral part of many businesses and corporations, so they have added this feature that reflects these times. RingCentral Fax users can use this feature without paying extra fees. No doubt one of the main benefits of using an email fax service is that you receive your virtual fax number. Back in the days of traditional fax machines, you needed to get installed a dedicated fax line, but now this is included at no extra cost in your account and is available for use in just a matter of minutes! When someone sends you a fax using the virtual fax number they won’t notice any difference. But what happens is that the fax image blips through the service’s fax servers, where it undergoes a process of conversion. It is then sent from the servers to your email inbox using Fax Over Internet Protocol. The fax arrives in your email already converted into a PDF file that you can quickly search and browse. 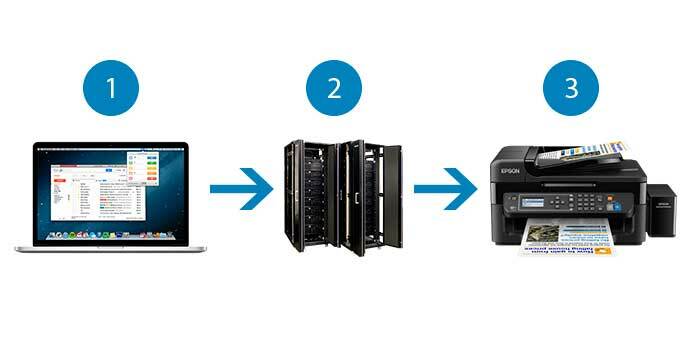 Having a digital copy, among other things, means that you have complete control over what you’re printing. What Are The Advantages of Google Fax? Speed. Google Fax takes just a couple of minutes, and the process is fully automated once you send the email message. On top of that, all email fax services have features that can help you save hours of your time, such as fax scheduling, broadcasting (sending a single fax to multiple recipients) and forwarding. Lower fax costs. Getting started with a fax service can cost as low as $7.99, and if you use a 30-day trial account you don’t have to pay anything today! You’ll also pocket the costs of toners, dedicated fax lines, and shelling out for paper. Security. Google Fax Services make sure that all your documents remain secure and private thanks to advanced protection and encryption technology. Reliability. Communicating via Gmail fax is much more reliable than doing so via a legacy fax machine. You won’t run into problems such as busy phone lines, missed faxes, and the dreaded paper jams. Eco-friendly. By saving paper when you send a fax, you help save a tree! 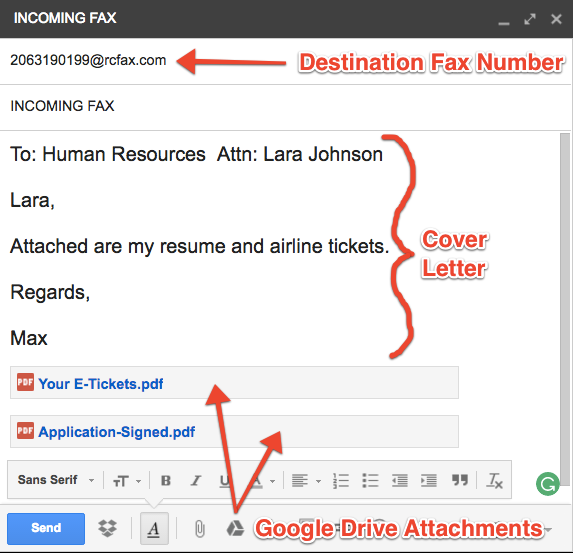 Ready to get started sending faxes from Gmail? In order to send or receive a fax online, the first thing you need to do is get a fax number. There are several different ways for you to get an online fax number, here are some of the most frequently used ones. First things first, do not let the name fool you, the fact that it is called toll-FREE doesn’t mean it is actually free, It actually means that the caller will be the one not being charged upon calling. These are the 3 most commonly used methods to get a Toll Free fax number. Moving your fax service online. In 2017 online fax services are still growing in popularity because they require minimal additional training, they do not require paper, and you will be saving space in your office. Which in the long run results on spending less money, while of course helping the environment since you won’t have piles and piles of paper stacked up on that big old fax machine taking space in your office. Most likely, your local phone provider may be able to give you a good deal. Be aware that the cost might be a little bit higher with this option rather than the other two. It all comes down to wich area are you located and the policy of the company of your choice. The main downfall for this option is that they will have you sign a contract, and that might get you stuck with a company, not being the case for online fax services since you can switch them around anytime you want. On the off chance that you already have a fax machine set up, there is no need for you to get a new number in order to switch to toll-free. You can simply set up a toll-free forwarding number, so it can transfer all the calls to your fax machine. You might also want to check the pricing tables with your fax line provider since setting up a forwarding number could be much cheaper than having a separate line. If you happen to have a fax number, and you want to start email faxing, then you’ll be glad to know that most popular providers will let you keep your number during the switch. Nevertheless, if you do not have a fax number, you can still sign up for an online fax service. Actually, most online fax providers prefer to hook you up with a new online fax number. 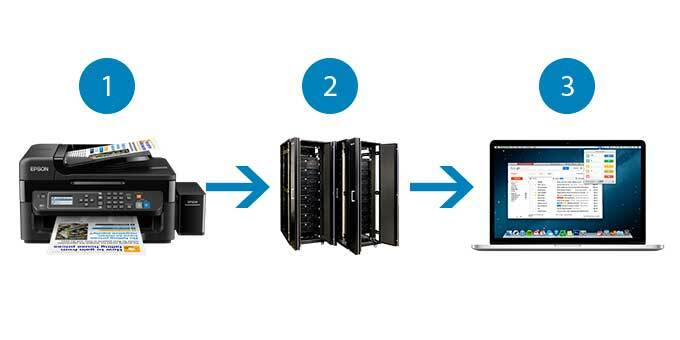 Why should you consider switching? Well, as we mentioned before, online faxing keeps growing in popularity, and there is a reason for that. They provide a wide variety of valuable benefits. Being able to send and receive faxes on the go, with any mobile device. Converting email attachments into a fax. Fax either locally or internationally. No more paper jams mean less stress. Lower rates that can go from $3 a month. Online Fax service providers differ from each other, they have different TOS (terms of service), price and not to mention quality. We strongly recommend RingCentral Fax, they have really low costs, high fax volume, and an outstanding customer service. If you haven’t made up your mind yet, we recommend comparing their monthly pricing cost as well as any other additional features they might offer. Some of them even have mobile apps, that make faxing as easy as it gets, while other have lower international rates. Think about how you will be using your virtual fax account, and pick the one that which best fits to your necessities. Sing-up incentives will possibly include something like a couple hundred free faxes, a month or two free subscriptions, or no limits when it comes to international faxing for a period of time. But in the end, all online fax services let you send and receive faxes from fax numbers. Knowing that, you should pick the service provider that gives you the better deal. Best pricing-quality ratio and possible sing-up bonuses. Some of them may offer a test drive that includes a couple free faxes per day. However, they won’t be giving you a virtual fax number, they will only let you send a fax. Once you decided wich provider you will be using, you’ll most likely be asked to fill out a basic contact and payment information form. Upon completing the form, and your account is activated, you will now be able to share your online fax number with everyone. Step four is performing a test to verify that your virtual fax number is up and running. Go back to one of the websites you found on step 2 and send yourself a test fax to your brand new number. Or you can ask a friend to simply send you a fax test. That’s pretty much it, in our opinion, we think that getting an online fax number is the easiest method, you won’t even leave your office to do order it, and the providers will be glad to guide you if needed. For those who want to have the same fax number area code as their business phone number, the best way to go is to choose a local fax number. This is especially good for business that works mostly in a specific geographic area, like retailers, restaurants or hotels. When choosing a local fax number, we recommend you pick a fax number based on the associated city name and not the area code. For the most part, cities and suburbs share the same area code, and if you contemplate just the area code, there is a possibility that your fax number and your business one will get assigned to different cities. Les take Austin and Georgetown (suburb) as an example, they both share the area code, wich is 512. If your business is based in Austin and you have a Georgetown 512 fax number, we can expect people in Austin to try and fax you without using the area code. Presence in multiple locations, yes you can have more than one local fax number. When you enable the service, you will be assigned a local telephone number in the city of your choice and this will be your personal Fax number from that moment on. It will be enabled both to send and receive to or from any Fax machine. In order for you to receive a fax, it must be sent to your personalized fax number. The shipment will be received on the Online Fax platform, which relates it to your email account, and delivers it with the attached file. To send a fax, you must do so via e-mail. The online fax platform will validate the source mail address you have registered and will use your virtual Fax number as the source ID on the Outgoing Fax call. Simply write an email from your email service of choice, we recommend Gmail, attach in PDF the document you wish to send by fax and put as the recipient of the mail the destination fax number and a domain (what goes after the @) that the service provider will indicate you (something like 123456789@ …). Once the process is done, you will receive a message saying that your fax has been successfully sent. The process is as simple as sending a fax from email. When someone sends a fax to your number, your Internet fax receives it, digitizing it by converting the content of the fax into PDF and forwards it to your email address like an ordinary email. It’s that simple! The fact that PDF has become a de-facto standard when it comes to digital business correspondence means that fax owners have another hurdle to pass – the fact that they have to use an analog modem signal to send a digital document. Luckily, there is now more than one method to send a PDF document to a fax number, and it’s no longer a harrowing task thanks to the clean and slick user interface that accompanies most of these methods. Let’s briefly go over these. We’ve already mentioned using online fax services for sending and receiving fax messages. Well, the fact that these services are usually used from a PC or from a smart device means that you can easily send your PDF document as a message – usually as an attachment, and the service does all the converting to a fax format for you. 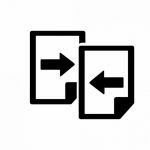 Options usually in front of you (this changes based on what is the exact type of online fax service you use) are sending a fax message as an e-mail with a PDF attachment, or using a web form or an app to add a PDF file to your message. Both methods are quick and easy to use as long as you have an internet connection fast and reliable enough to upload a single PDF file. As long as your fax modem is connected and all of the accompanying software has been set up to allow sending and receiving fax messages, you should be able to send a PDF document as a fax message with just a few clicks. The interface should resemble that of sending a fax as an e-mail message through an online fax service, look for an option “Attach document” in the application and you’re good to go. One thing to take note of is that Mac OS X users do not have this option unlocked, that functionality has not been officially supported by the operating system since 2007 version of the OS, but any Windows user (from XP onwards) and Linux users should have this method readily available with the default software coming with their fax machines. Of course, you should always remember that with this method, quality and the speed of the sent fax depends not on the internet connection, but on the traditional fax landline, and all of the challenges as call quality and the possibility of the line being interrupted are still on the table. Using Fax Software is different from using PC Controlled Fax machine – while with the previous method it’s the operating system doing most of the work, here you should get a fine tuned piece of software from the fax machine manufacturer that will allow you to quickly and easily send PDF documents as fax messages. Your fax machine needs to be connected to the fax line, as well as to the PC (no matter what kind of connection is used, wireless or cable one), and the software coming with the fax machine must be set up on the PC. Any modern fax machine will come with an extensive user manual to explain how to correctly connect it to the PC and how to send fax messages, including sending PDF attachments. If all other methods fail or are just not available, there’s always doing things the old fashioned way – printing out the PDF document you’re trying to send and faxing it as a regular scanned document via a fax machine. Of course, you will need access to a printer and a working fax machine, and the quality of the document will be degraded depending on the quality of the print, but if you’re really in a jam and need to quickly get that PDF sent, this option is on the menu. HelloFax will guarantee to keep your documents private and as secure as possible by implementing SSL encryption and an overall outstanding server infrastructure. The Secure Sockets Layer, SSL for short is their encryption method of choice. It is the encryption level used by government agencies and banks all over the world. If that wasn’t enough, your documents will also be stored and encrypted using AES – 256-bit encryption, with a unique key. And each of them is encrypted with a rotative master key. Meaning that even if someone could sneak into their installations and have their hands on a hard drive, they still wouldn’t be able to decrypt your data. In addition to all their online security, HelloFax is hosted in a state-of-the-art SAS70 Type II, SSAE 16 facility that has achieved ISO 27001 certification. Controlled 24/7 by a professional security staff, performing video surveillance. As for your credit card information, HelloFax will not store any of the data associated with it on the servers. When you go through the submitting process, the information goes straight to their payment processors, a PCI Service Provider Level 1 service. So in conclusion, we think that YES, HelloFax is pretty much a secure online fax service. Why Are Some Companies Using Google™ Trademark Terms In Their Domains? This is not new, there are a thousand companies that use “google” in their domain name (URL), some of them are even in the fax business. Sites like www.gmailfaxpro.com and www.googlefaxonline.com have used the Google trademark in their domain in order to fool people into thinking their affiliate site is somehow related or owned by Google. We even went a step further and asked ourselves about this, and this is the answer they gave us. Thank you for contacting us with your inquiry before registering the domain names in question. Unfortunately, we cannot approve the registration of domain names that include Google’s trademarks or confusingly similar approximations, even by Google Partners. We would accordingly request that you not move forward with registering the domains in question. Our brand is important to us, thanks for using it appropriately. Test drive our Nº1 choice. Send faxes for free during 30 days!